I'm joining Cindy for Show and Tell Friday over @ My Romantic Home. 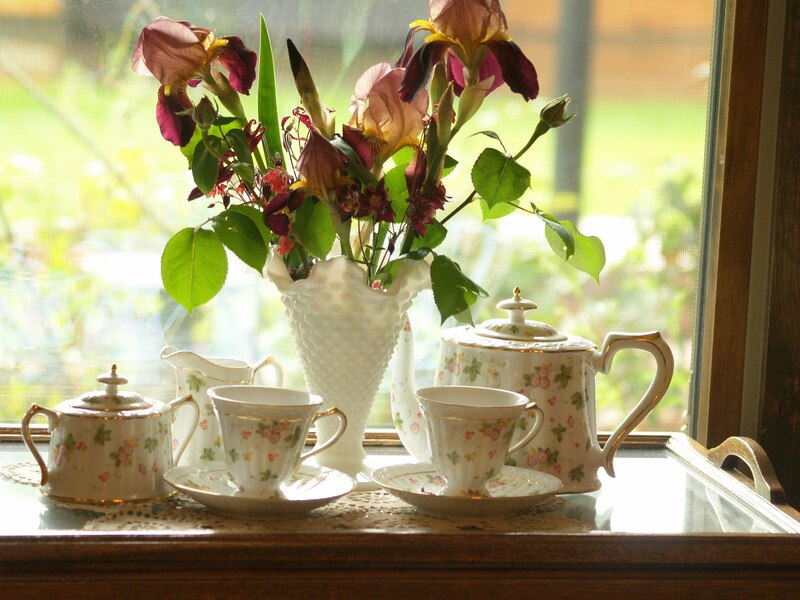 I moved the Tea Service over to the end of the windows for this photo. I love the light here. The bouquet of flowers are from my garden. There are Bearded Iris, Coral Bells, Rose Buds and Columbine. I can see my spider plant. The angel-wing begonia and the peace lily behind the bouquet. 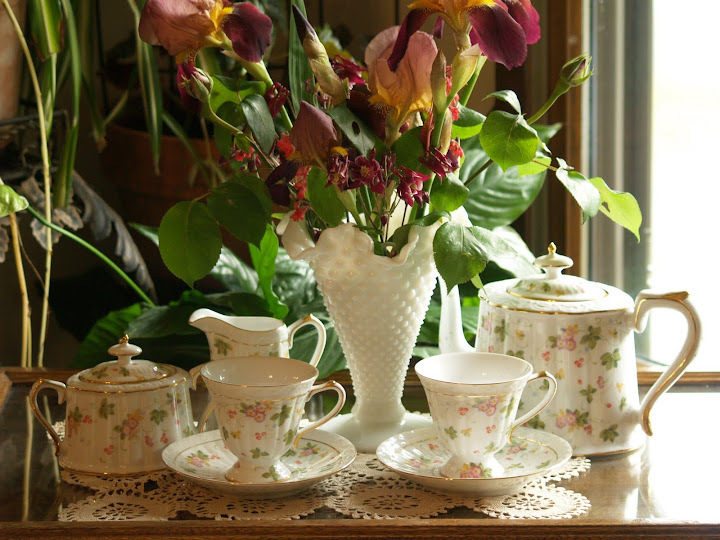 My granddaughters love to have tea with this service. I know why. Only because I have sugar cubes in the sugar bowl. 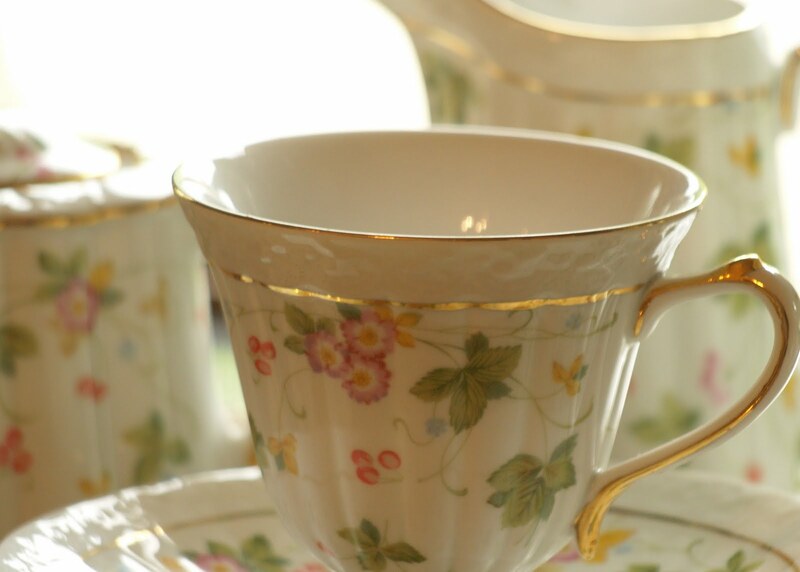 The girls use the matching cups for tea and my daughter and I use two from my tea cup collection. We have the girls pick out the cup we are going to use for tea. The tea pot lid is so delicate and I love the detail and color on the cup. Thank you for joining me today. Friday's are a great day to Show and Tell. Please link back to Cindy's @ My Romantic Home for more treasures. I would love a comment if you have time. And please come back soon. what a lovely teaset! 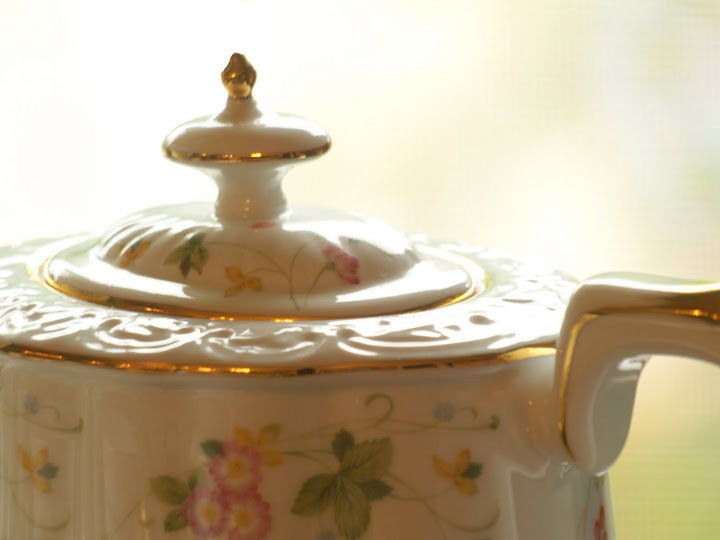 love the design and even more precious when you shared it with your love ones! 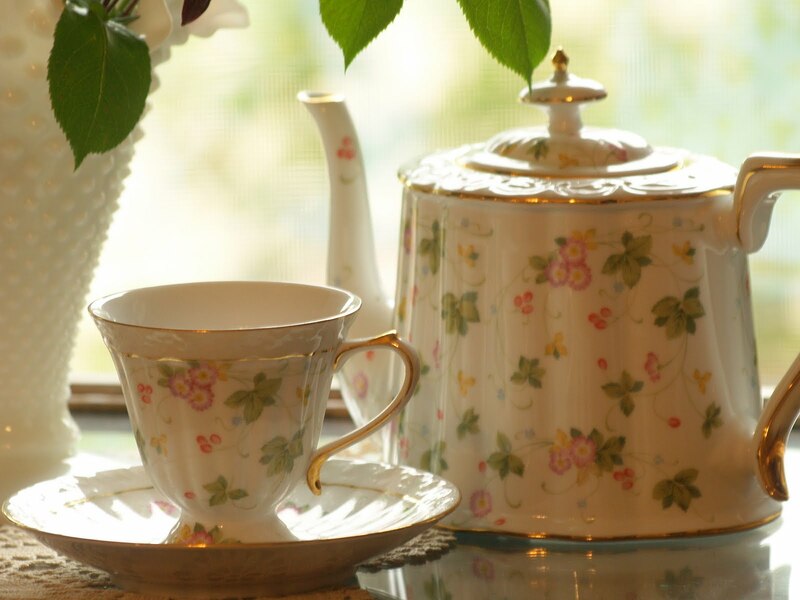 I can see why your granddaughters love taking their tea in this pretty set! I love it too. It is a beautiful pattern isn't it! I love the way you have displayed it too. What a cozy and pretty corner you have created here-your blog is great! I can't wait to come back again very soon. Your tea service is stunning...I really do like the background lighting in the photo too. How sweet! 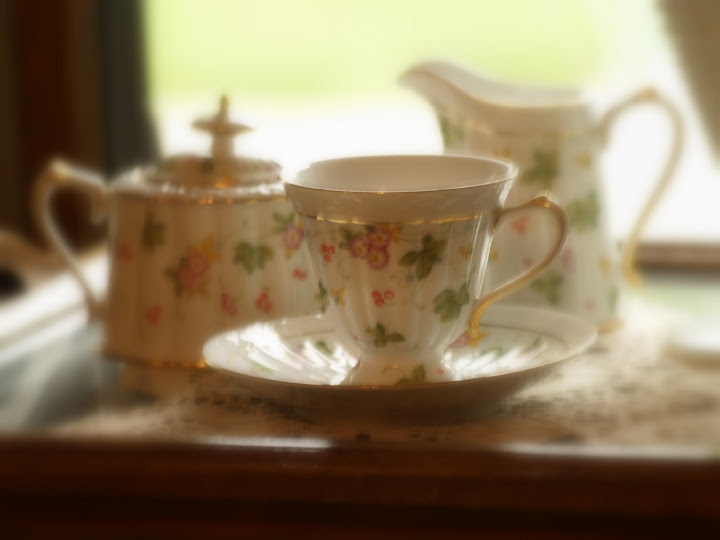 A beautiful tea set. And how special is it that you are able to share it with your daughter and granddaughters! Sounds fun. 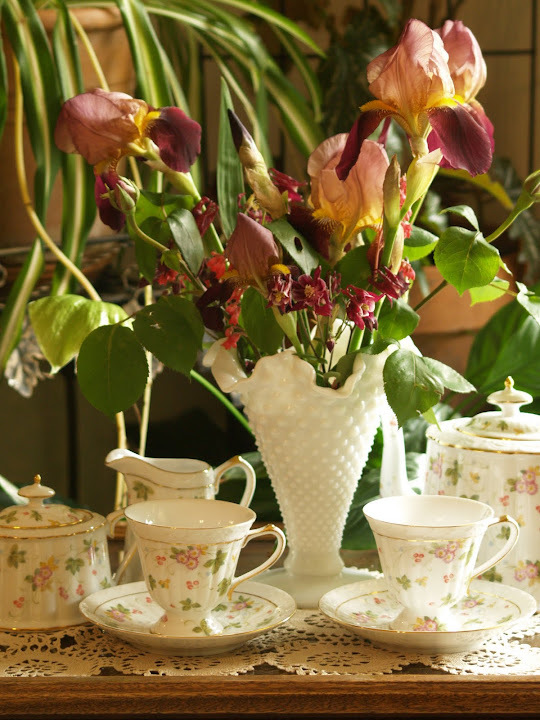 Your tea set is beautiful and so are your iris'. Thank you for your comment.I love making cards and i make a lot of them. I always have an occasion to make them. Betty, I love this tea set! It's exquisite. More please.